Discussion in 'Transformers 3rd Party Discussion' started by Fulano de Tal, Jun 8, 2018. 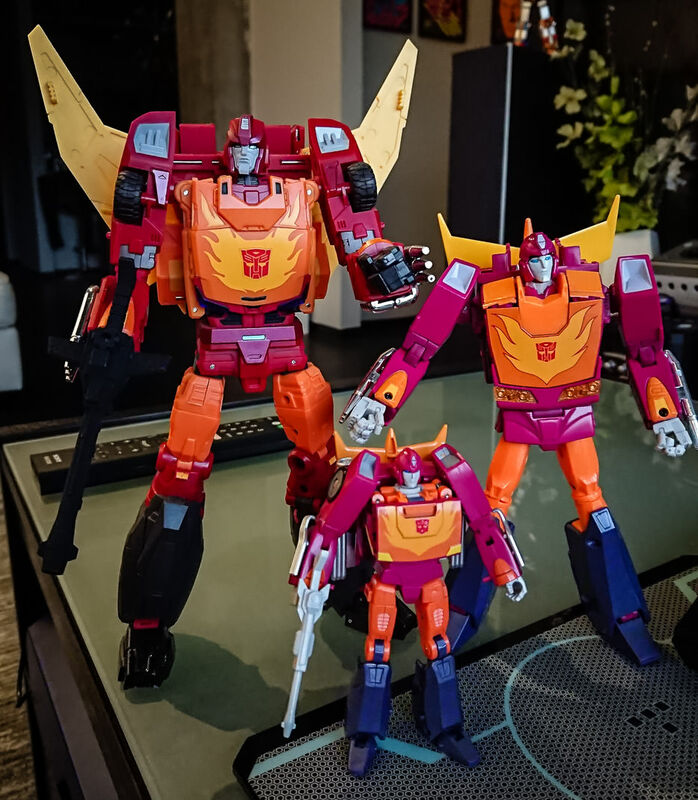 I would like Arcee to be as tall of just under the height of Hotrod. 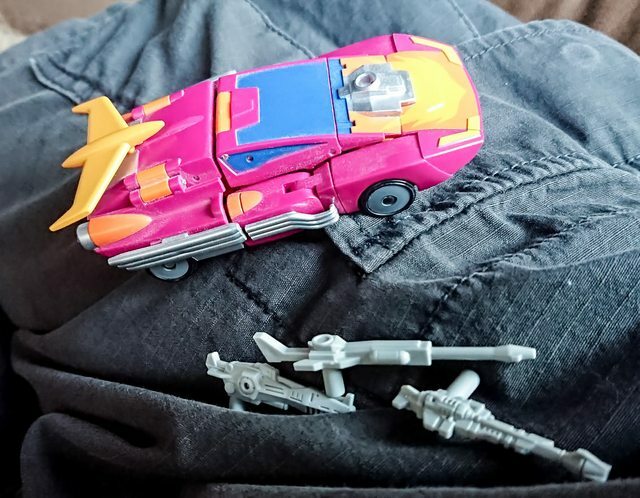 As much as I enjoy IF's take on Arcee [I own 3 copies of the original figure plus the Black deco version, the Elita retool, the Nightbird retool...], I really hope that MFT uses the DX9 version as the basis for their release... with some improvements, of course. 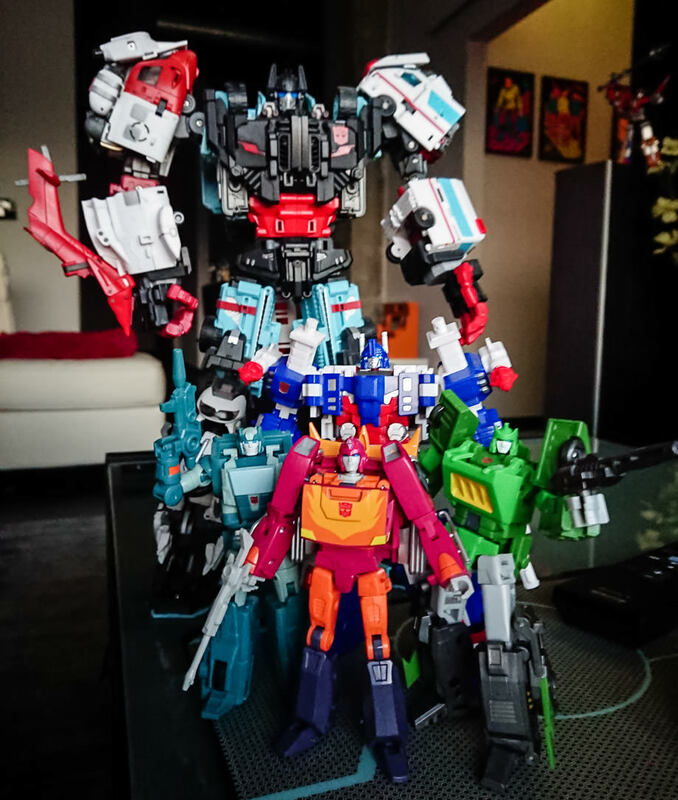 She just fits in with the G1 aesthetic of the existing Legends + '86 Movie' figures that have been released by MFT and Papa much better than the IF version [which is based on the IDW look, as I understand it]. She's also not a bad little figure by any means, just a bit 'plain'. 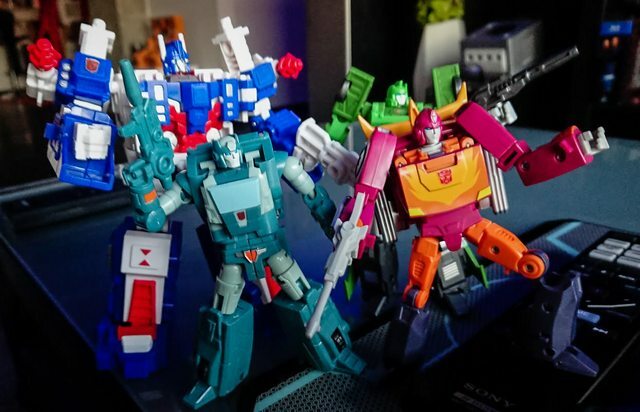 The current DX9 figure actually fits into my L+ collection fairly well, since I always thought that she was WAAAY too tall for a standard Legends-sized line-up [there is no version of my personal TF head-canon in which Arcee is significantly taller than Kup and Blurr]. hey if and whenever you feel like turning your little ladies loose on the world. please let me know and i will buy all of them at once. i love the IF mold i think it is just awesome. I can't imagine ever getting rid of them - in fact, if I ever got rid of my TF collection, my rather large assortment of Fembots [in every scale - Legends, CHUG, MP] are probably the one thing I'd hold on to. I also love the IF mold... it's just not exactly what I want for a G1-inspired 86 Movie Autobots lineup. eh...i tried and in the end it was the best i could do. Mostly finished touching up and because I couldn't stop myself I fixed Galvatron too. I am kind of liking having the exhaust pipes wrapped around, they improve his balance a little... but I did end up swinging them around the spoiler. 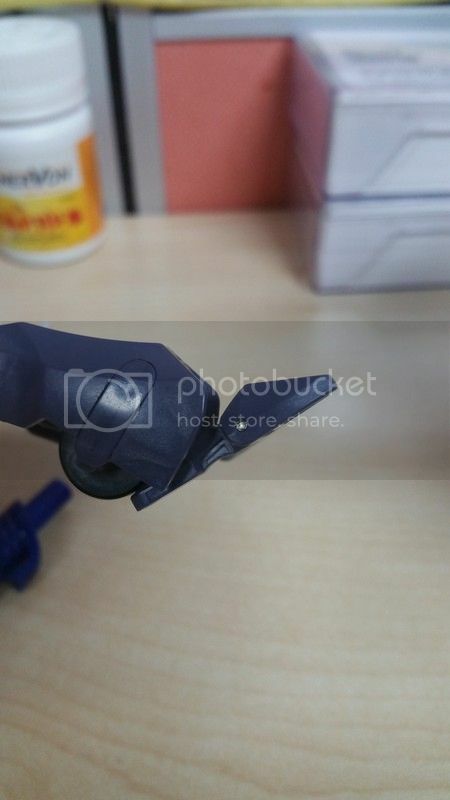 Mine came with a bunch of stress marks and some thin cracks around some of the pins. They are all internal and can't be seen in either alt or bot mode. They also don't affect the functionality of the figure, so I'm not too worried. But yeah, ideally the figure wouldn't have come with imperfections like these out of the box. 100% it does. They also really nailed the colors on him. Mine is currently sitting in a PO box (with like 8 other legends scaled guys) until I get back into town. Can’t wait to fiddle around with it and snap some photos! hmm...post a picture of that whenever you get done. it sounds like an nice and easy mod. BEFORE: I marked in black the part of the foot I want to shave down. 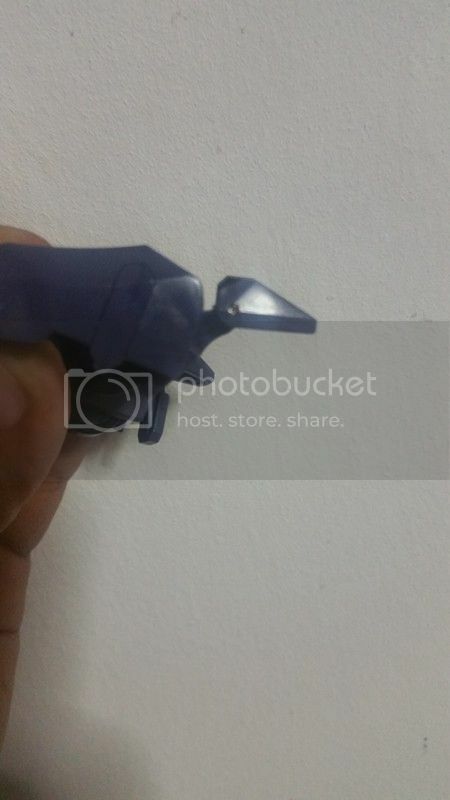 So, anyone has this bot with their regular legends class toys (IF / DX9 / Magic)? How do you guys like him in general, worth getting? Yep, he's with my Legends display. 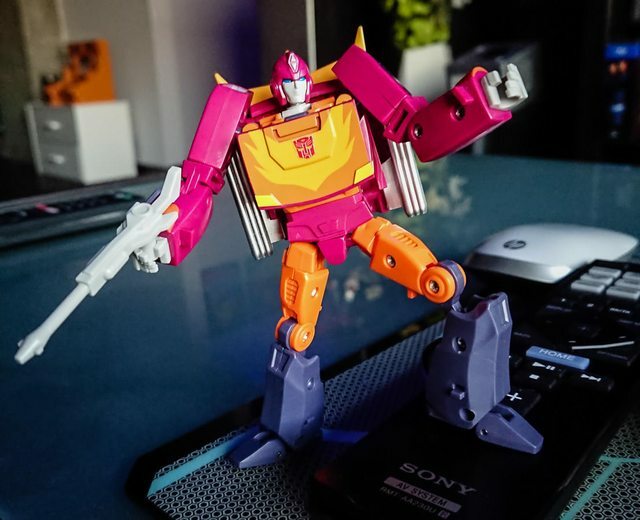 Works great as Rodimus. 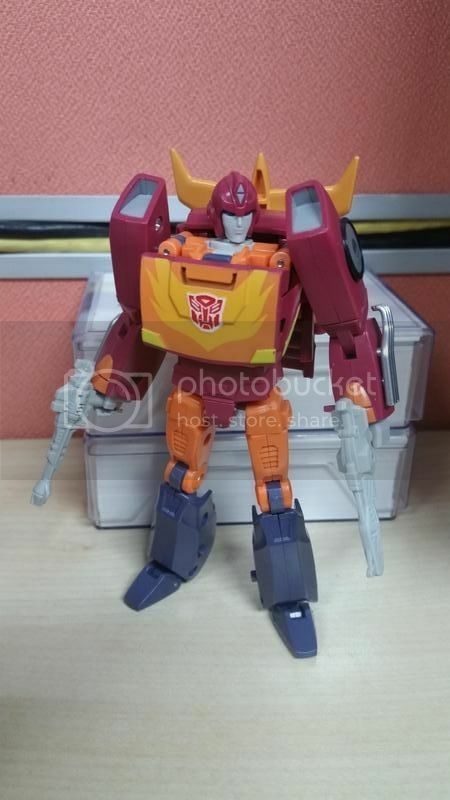 As Rob mentioned above, he works best with a standard Legends collection if you think of him as Rodimus Prime. He's Hot Rod to me, so this is perfect. IMO, I would go as far as to say he is the best hot rod we have ever gotten (yes including all the masterpieces and 3rd parties). maybe until FT hoodlum is released. animated hot rod was good too. He's good...but he doesn't beat Carry.